FREE Meal For Leap Year Babies On 2/29 At Hard Rock Cafe! You are here: Home / FREEbies / FREE Meal For Leap Year Babies On 2/29 At Hard Rock Cafe! Here’s another great reason to be a Leap Baby! 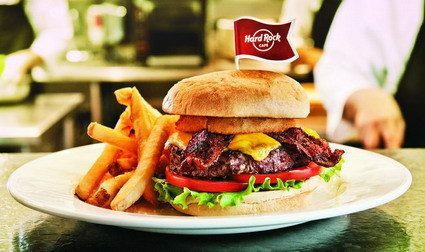 Get a FREE Meal On 2/29 At Hard Rock Cafe! Hard Rock’s guests born on Leap Day get more than just the privilege of being a quarter of their age this February 29th at Hard Rock Cafe! This year leaplings who celebrate their birthday at Hard Rock Cafes in the United States will receive a free entrée from Hard Rock Cafe’s Leaplings Eat Free menu!